When a distinguished but elderly scientist states that something is possible he is almost certainly right. When he states that something is impossible he is very probably wrong – Arthur C. Clarke’s First Law. In the period 1820-30, Oersted, Ampère and Faraday have shown that electricity and magnetism are two faces of the same coin, they are interrelated phenomena. Their experiments showed that an electric current produced a magnetic field, and that a magnet in motion generates a current flow in a coil of wire. 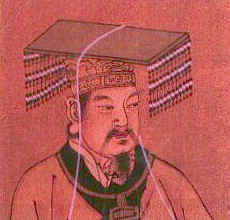 The science of electromagnetism probably begins when Hoang-ti, the mythical founder of Chinese Empire, construct in 2634 B.C. the first magnetic compass. 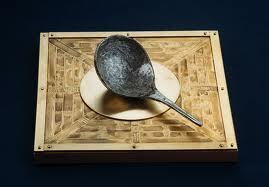 since this device is first described in 1180 by Alexander Neckham, an English monk (1157,1227) . Neckham was born at St. Albans, studied in Paris, and spent the rest of his life at the Augustinain Canos at Cirencester. During his life he compilled a lot of knowledge through the readings of Pliny, Solinus and Cassiodorus. He was a good observer of natural phenomena and wrote numerous books, showing the results of his own observations and moralizing thoughts, one of them is named “Of the Natures of Things”. Neckham was the kind of man that «had no use for war and intrigue» at the second half of the twelfth century, times of development of our intellectual maturity and literature, times when the romance form was born. While the wars rage in Languedoc and Frederick Barbarossa was strugling to unite a patchwork of more than 1600 individual states, each rules by its won prince, others, like Neckham, led their quiet lives, sheltered in some monastery. 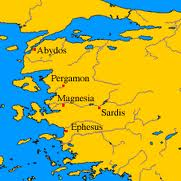 The word magnet is due to the accidental discovery made by a shepherd that lodestones found near the city of Magnesia, in Asia Minor, had the property to attract metals. Also, the history tells that Thales of Miletus who lives in 600 B.C., considered one of the Seven Wise Men of Greece, observed that when amber is rubbed with a nonconducting fabric it produced an electrical effect. 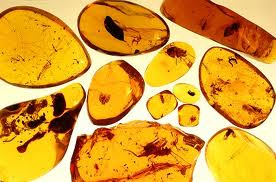 The golden amber was named electron by the Greeks for its sunlight luminosity and was used for jewelery from the earliest times. In 300 B.C., Theophrastus make the following note: “Amber is a stone. 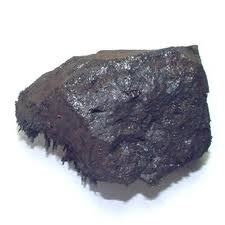 It is dug out of the earth in Liguria and has a power of attraction. It is said to attract not only straws and small peces of sticks, but even copper and iron, if they are beaten into thin pieces”. 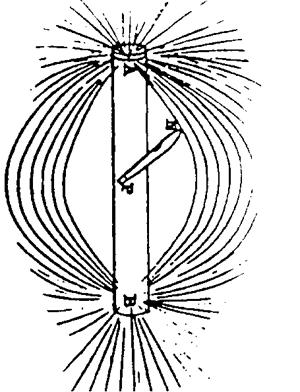 These experimental findings led to distinguish between two kinds of electric charges, the positive (or, in outdated terminology, vitreous, because resulting from electrical phenomena excited by friction on glass), and the negative charges (or resineous, due to friction on sealing-wax). The former explanation of electrical phenomena was based on the hypothesis of the existence of an electrical fluid. Benjamin Franklin (1706,1790), one of the founding fathers of the United States of America, proposed the single fluid theory, that supposes electricity to be a subtle imponderable fluid, existing in all bodies in definite quantities. In order to evaluate the fragility of this explanation, we may add that, according to this view, if a body remains undisturbed, it remains neutral; if by friction or any other process, this quantity is increased, the body is said to be positively electrified, or negatively electrified if, instead, this quantity is diminished. Another outdated theory was the double fluid theory, proposed by Charles Du Fay (1698,1739), a French chemist. But these theories are referred to as action at a distance theories, because these theories do not speculate about how forces are transmitted thorough space. In addition, as there is any hypothesis about the mass these electric and magnetic fluids might have, they are referred as imponderable fluids. They are similar to the caloric fluid, supposedly responsable by thermal phenomena and the working of thermal machines.For a large number of centuries this knowledge remained without practical consequences, mostly because of the strong authority that Aristotle had on the intellect of the Western world until new ways of thought start to recognize that need to go beyond the metaphysical speculation and entering the realm of the physical investigation.Surprisingly, the contributions of physicians was decisive, with Galen and others using the electric shock provided by the torpedo fish for therapeutic purposes, in particular curing of gout and headaches; William Gilbert (Elizabeth’s physician) is currently considered the founder of electrical science; and we may also add the discovery of Galvani of Bologna. 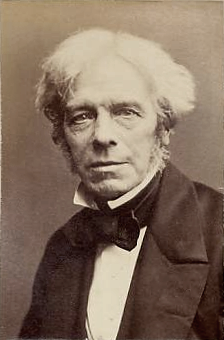 Action at a distance theories do not provide us with a clear picture of electromagnetic phenomena, but Michell Faraday (1791, 1867) introduced the idea of electric and magnetic fields of force, which improved our ability to understand. When James Clerk Maxwell’s theory gained worldwide approval after the experiments made by Heinrich Hertz, the idea of these fields become one of the most fruitful in theoretical physics. Circa 460 B.C., the Greek philosopher Democritus, asked himself: if I break any piece of matter in half, and keep doing this operation, it will end at some point when we cann’t go no further. This last bit of matter, Democritus called atoms. We should not blame Aristotles because he considered worthless the idea of atom, until John Dalton (1766-1844) in the 1800’s showed through a series of chemical experiments that matter was made of elementary bricks . Elementary particles are organized in groups according to one of their fundamental properties, the spin, which represents an internal rotation and we may figure it as reminescence of the spinning of a billiard ball. Particles associated with matter all have spin 1/2. For example, electrons, quarks (which constitute protons and neutrons, the elements of the atomic nuclei) all have spin 1/2. We call them fermions. Particles associated with forces (electromagnetic, weak, strong forces) have spin 1, the exception is the graviton which has spin 2. 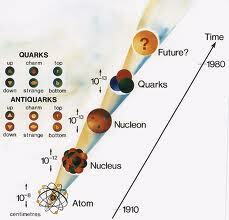 They are called bosons. 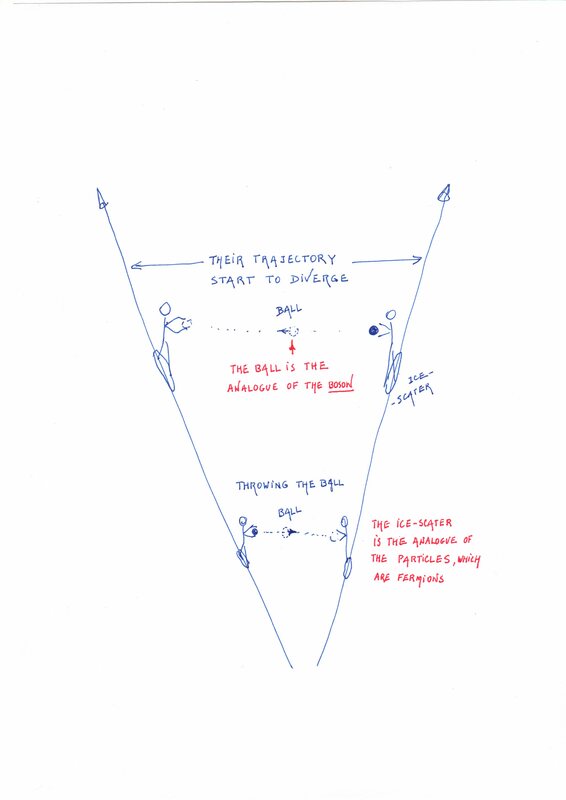 An image of this process that we may give to the layman is the one of two ice-skatters sliding initially in parallel trajectories; when they start to exchange a ball (here, the analog of a boson) to each other, their trajectory starts to diverge, as if a repulsive force was acting on them (see Fig.). Pictorial explanation for the “repulsive” force between two ice-skaters. Table 1 shows the four fundamental forces together with their coupling strengths, type of gauge boson, its mass, ranges, and typical interaction time . We may notice that the stonger is the force the bigger is the coupling strength.